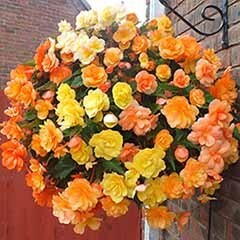 Easy to care for, and simple to look after, begonias provide reliable, continuous colour throughout the summer until the first frosts. 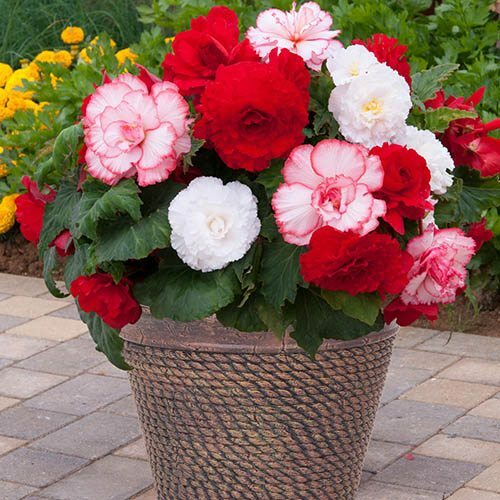 These brand-new, large-flowered Majestic Patio Begonias are just the thing to create a strong focal point in your patio containers. 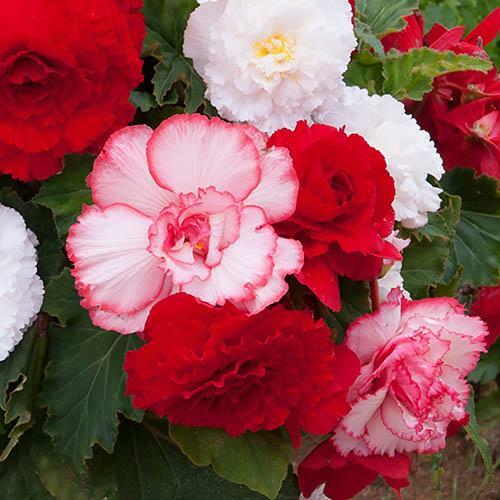 Producing an abundance of flowers all summer long, the blousy, double blooms are big and bold in vibrant shades of blush and pink, each with a delightful pink picotee edging, and reach as much as 20cm (8in) across. 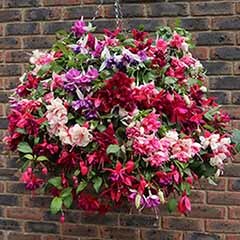 Robust and strong, these begonias grow well in partial shade and will stand up to the worst of any poor weather, providing months of colour. 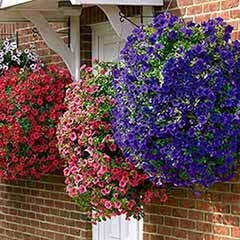 You don't need much space to grow them either and they look great in borders too, flowering right through to October so extending the flowering season in your garden. 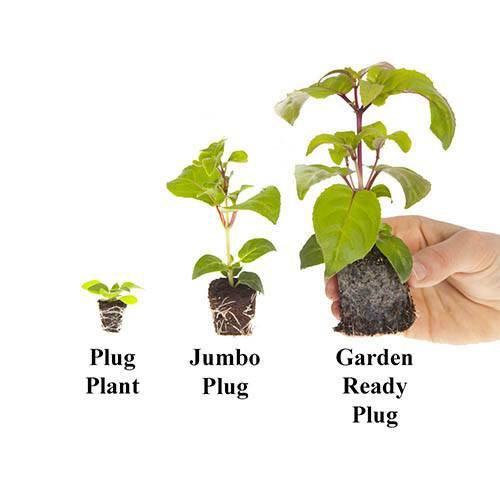 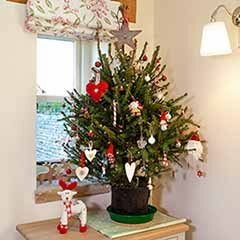 Supplied as a mixture of 12 plug plants in different shades (please note that this is a random mixture and exact colours cannot be guaranteed). 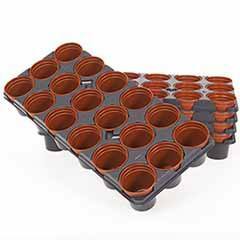 Supplied as a mixture of 12 plug plants in different shades ready to be potted up and grown on. 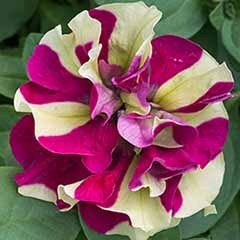 (Please note that this is a random mixture and exact colours cannot be guaranteed). 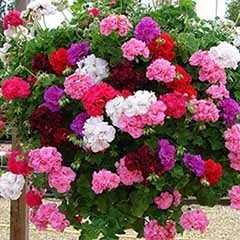 Male and female flowers are produced separately on the same plant - the male flowers being the showiest. 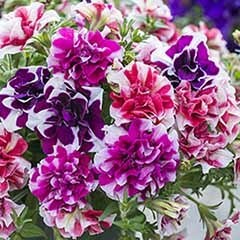 Deadhead the single female flowers to encourage more of the large double male flowers to be produced and to extend the flowering period. 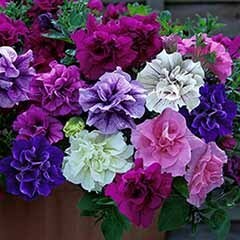 Grow in moist, well-drained soil in sun or part shade. 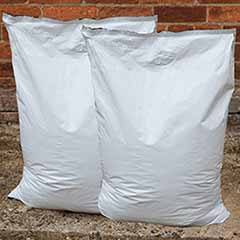 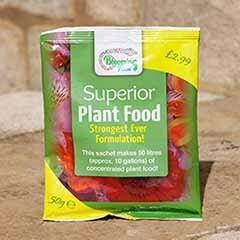 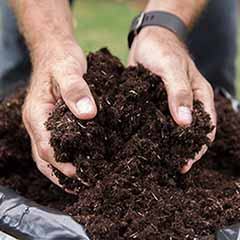 For best results keep plants well-watered, and feed fortnightly with a high-potash fertiliser to prolong flowering. 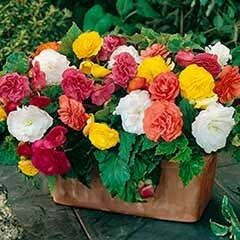 Begonia plugs can be planted straight into containers and baskets but are best potted on first and grown on in warm, frost-free conditions. 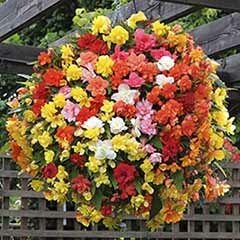 Begonia plants can then be transplanted into their final containers once they have increased in size. 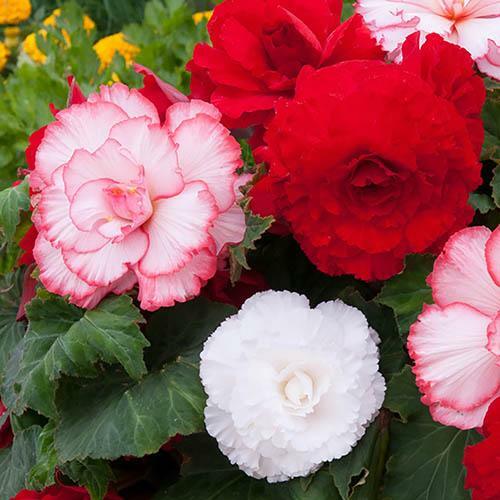 When all risk of frost has passed, acclimatise begonia plants to outdoor conditions over a period of 7 to 10 days - choose a sunny or semi shaded position that is protected from strong winds - a cold frame is ideal. 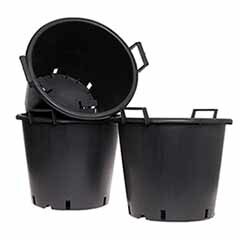 Feed and water plants frequently throughout the growing season taking care not to over-water, as this will cause new begonia flower buds to drop. 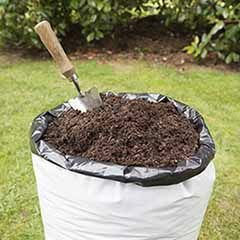 Plants will form small corms that can be over wintered if lifted and kept dry.